The International Democrats Union (IDU) Party Leaders Conference has re-elected its Vice Chairman, Peter Mac Manu for a second term of office. Mr Mac Manu, the immediate-past Campaign Chairman, who doubles as the Honorary Chair of the Democrats Union of Africa (DUA), was re-nominated by the leadership of the New Patriotic Party (NPP) to vie for the position. He previously served as national chairman of the party. The party re-nominated him because of the confidence it has in him, given his exceptional experience, sterling qualities and hard work, which have tremendously helped the local and international chapters of the union. The IDU annual party leaders' conference took place in Madrid, Spain. It brought together party leaders of all the center-right political parties in their alliance across the world. The meeting was used to elect into office members of the Board of Executive Committee of the IDU, discuss and take stock of its programmes, activities and general core mandate of the Union. 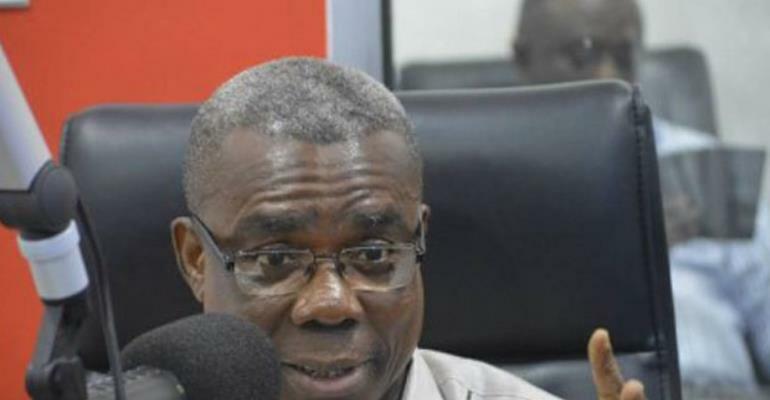 The NPP was represented by the able National Chairman (Acting), Fredrick Worsemao Armah Blay, General Secretary, John Boadu, as well as Director of International Affairs, Emmanuel Attafuah-Danso, who threw their weight behind the nominee. The exceptional support by Messrs Fredrick Blay, John Boadu and Emmanuel Attafuah-Danso is worth commending. The youthful political genius, Mr John Boadu, the General Secretary, made a solid presentation about the state of the party (NPP) which was highly commended. He said Mr Manu has really placed the NPP on a world map of international politics. The Ghanaian delegation was led by the affable Fredrick Worsemao Armah Blay, the Acting National Chairman of the Party. “We also appreciate and owe debt of gratitude to all sister party members of the IDU and DUA, who supported this worthy cause of Mr Mac Manu's nomination and re-election. Finally, we extend our congratulations to Mr Peter Mac Manu, the IDU, DUA and the entire rank and file of the NPP for their continuous support. Instructively, the role of H.E President of the Republic, Nana Addo Dankwa Akufo-Addo, in supporting the nomination and re-election of Mr Mac Manu, is very much heartwarming and commendable,” the NPP said.